As the public becomes more aware of environmental issues and global warming, consumers will be asking more questions about the products they are purchasing. Companies will have to expect questions about how green their manufacturing processes and supply chain are, how big their carbon footprint is, and how they recycle. Some companies have seen consumer interest in the environment as a plus, and have even been able to convert the public’s interest in all things green into increased profits. A number of companies have shown that there is proof of the link between improved environmental performance and financial gains. 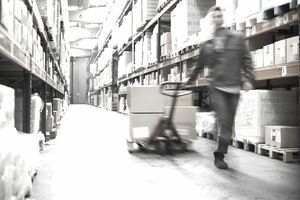 Companies have looked to their supply chain and seen areas where improvements in the way they operate can produce profits. General Motors, for example, reduced disposal costs by $12 million by establishing a reusable container program with their suppliers. Perhaps General Motors may have been less interested in green issues if they were making record profits, but in an attempt to reduce costs in their supply chain, GM found that the cost reductions they identified complemented the company’s commitment to the environment. Companies can find cost savings by reducing the environmental impact of their business processes. By re-evaluating the company's supply chain, from purchasing, planning, and managing the use of materials to shipping and distributing final products, savings are often identified as a benefit of implementing green policies. Despite the public’s focus on the environment, benefits attributed to reducing a company’s environmental impact are not at the forefront of supply chain executive’s minds. It appears that many executives are still unaware that improved environmental performance means lower waste-disposal and training costs, fewer environmental-permitting fees, and, often, reduced materials costs. Hopefully, the interest in green issues and environmental concern by the public will not wane as economic issues become more important due to the faltering economy. Reduction in shipping typically means less fossil fuel is burned. By consolidating and optimizing material and packaging usage, fewer packing products are consumed. When hazardous materials are taken out of the supply chain, lower costs are associated with handling and disposing of the materials. When waste is minimized, so too are the costs associated with purchasing and disposal. The more robustly green your supply chain becomes, the more it can become a public relations and marketing boon. Imagine letting your customers know that you're saving the planet x-number of tons of packaging material and y-number barrels of oil every year through your green supply chain initiatives. That's a metric that easily resonates with the public. And the cost reductions that you pass on to the bottom line easily resonate with your chief financial officer, your board of directors, and your shareholders. Designing and implementing a greener supply chain is truly a win-win-win scenario for your company, your shareholders and your planet. When a supply chain becomes greener, waste is driven from it. When waste is driven from your supply chain (or any process), the cost of that process is reduced. When costs are reduced - everybody's happy. And of course, as a positive side-effect of greening your supply chain, you'll also be helping the planet. If you want your company to strive for a greener supply chain, sell the green supply chain initiative as a cost savings initiative. Consumers will notice, too, and you might see other positive benefits.